Cypripedium Peter belongs to those hybrids which look similar to a species but grow markedly better and are easier to cultivate - like John Haggar, Renate Pastel and Birgit Pastel. 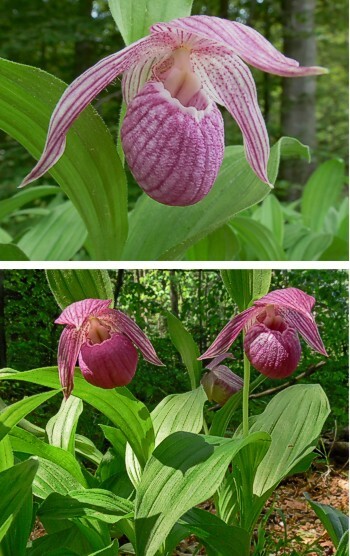 The look of Peter lies exactly in between the Chinese parent species Cypripedium speciosum and yunnanense. This hybrid is not quite as robust as the others and should only find entrance into the orchid bed after you have made good experience with other hybrids.